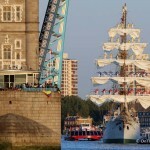 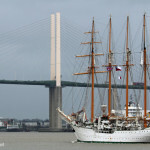 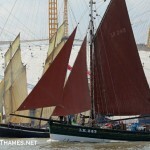 A TALL ship passed under a raised Tower Bridge yesterday afternoon with young people manning the yard arms. 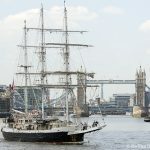 The 59-metre-long, two-masted Stavros S Niarchos is owned and operated by the Tall Ships Youth Trust charity. 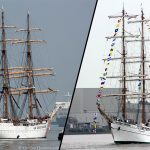 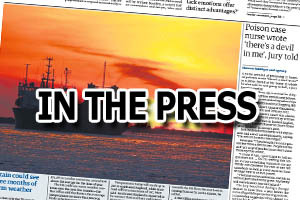 The crew on board were taking part in the HSBC Voyage of Achievement , which is an annual chance for young people to experience a tall ships adventure, funded by the bank. 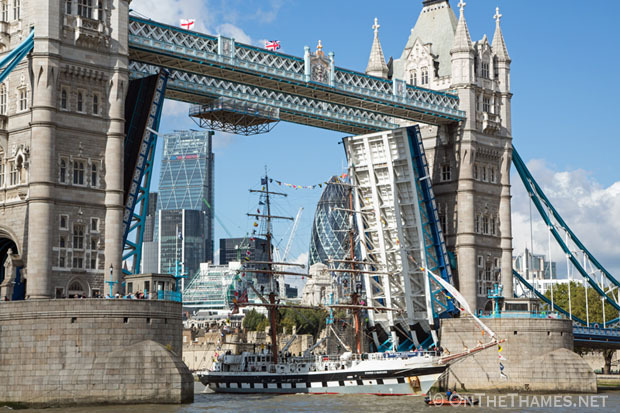 The ship, which had moored at Tilbury Landing Stage the previous night, came up through Tower Bridge at 1.15 and headed back down river a short while later, heading to West India Docks. 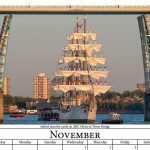 Click here to see more photos of the Stavros S Niarchos, including the young crew manning the yards.